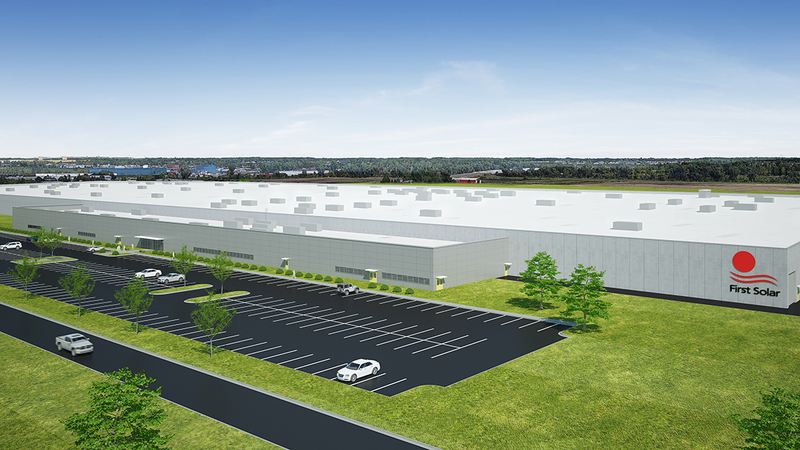 First Solar Breaks Ground on 1 million square foot facility | JDRM Engineering, Inc.
JDRM Engineering is the mechanical, electrical and technology engineering services firm for this new facility and has been honored to serve First Solar since 2003 on a variety of projects. 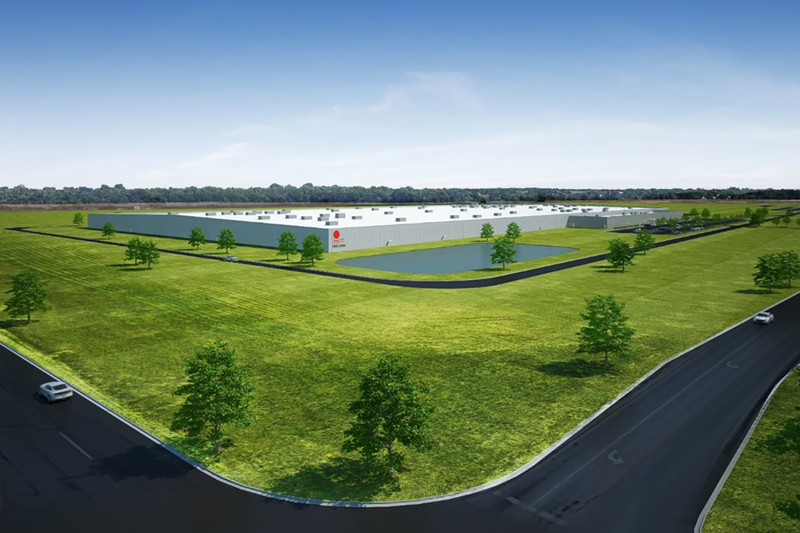 The expansion plan calls for a 1 million square foot facility located in Lake Township, Ohio, a short distance from First Solar’s Perrysburg site, with construction expected to begin in mid-2018 and entering full production mode in late 2019 with an expected annualized capacity of 1.2GW. The plan is contingent on confirmation of state and local incentive packages currently in negotiation. With the current plant’s Series 6 manufacturing capacity of 600MW and the announced expansion, First Solar’s annualized U.S. manufacturing capacity for thin film PV solar modules will total 1.8 GW. First Solar is the nation’s largest manufacturer of PV modules. Since its inception, First Solar has invested approximately $3 billion in Ohio, including wages paid, manufacturing purchases, research & development costs and taxes. The flagship Perrysburg plant is the largest solar manufacturing facility in the United States, working with more than 250 U.S. suppliers and indirectly supporting more than 4,000 jobs across Ohio. First Solar was formed in 1999, and established its first manufacturing facility in Perrysburg. Full-scale commercial production of thin film photovoltaic solar modules began in 2002. With production facilities in the U.S., Malaysia and Vietnam, First Solar has sold more than 17GW of solar modules providing clean, renewable energy worldwide. Check out this update on construction progress.